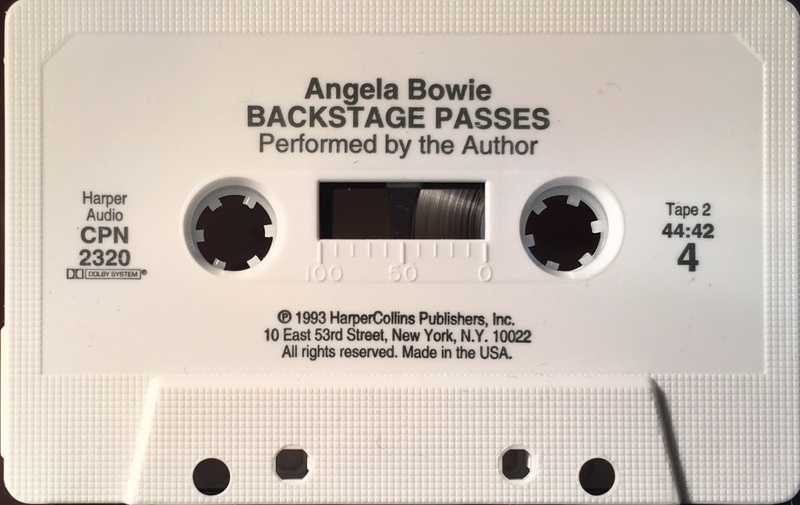 Angela Bowie. 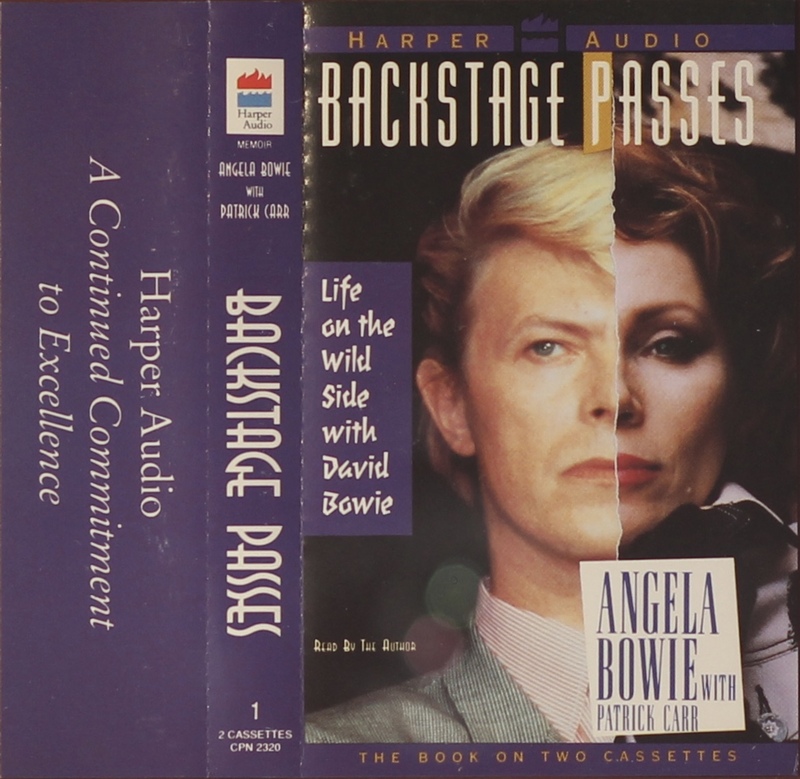 ‘Backstage Passes’: USA; Harper Audio, CPN 2320; 1993. Audio Book. 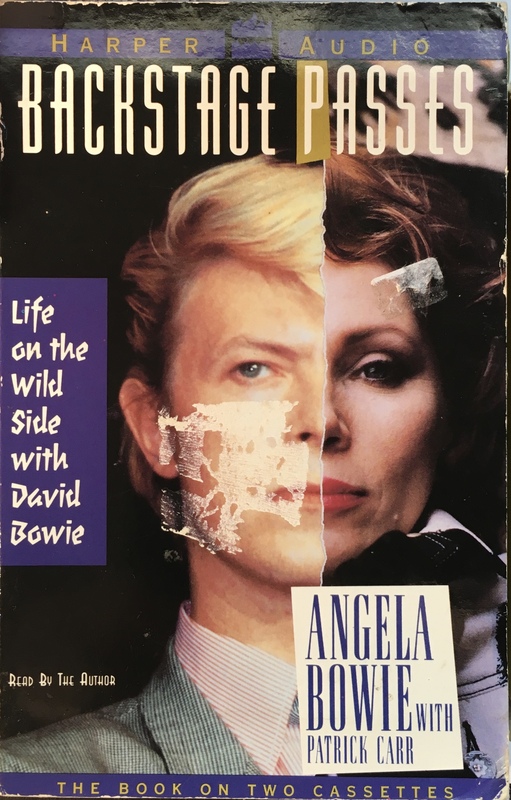 Angela Bowie with Patrick Carr. Two cassettes in a book-like cover. Black ink printed directly to white shell.